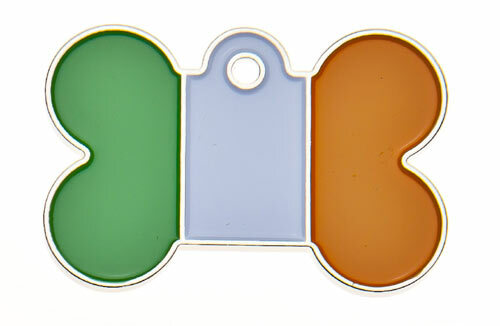 Quality tags with the Republic of Ireland flag on one side and engraved free on the back. 40 mm wide x 27 mm high. Suitable medium to Large sized Dogs. A maximum of 5 lines can be engraved with up to 16 characters per line including spaces.